VIPKid is a company that puts teachers and young Chinese students learning English together. I decided to write a review of the VIPKid Teacher Job because it’s a newer site that’s growing in popularity. There’s not much information on the work at home job position, so I thought I’d share what I know. 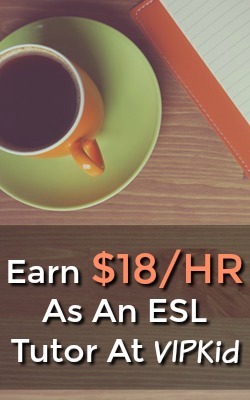 From what I’ve found some teachers are making up to $18 an hour tutoring ESL on this site! Several VIP Kid teachers have left comments below so make sure to check them out for additional information. VIPKid is currently Hiring Now, Apply Here. In this VIPKid Teacher Job Review, I’ll cover the requirements, application process, how much you get paid, the complaints, and if this WAH Teacher job is a scam! In this VIPKid Teacher Job Review, I’ll cover the exact details of what to expect if you apply for this job. Overall it’s a good ESL job that has very competitive pay. After doing some research, it seems that workers are very happy. There’re some general complaints with communication, but the company has said that they’ve been working on making improvements. If you’re interested in ESL teaching and can meet the requirements, VIPKid seems to be a very good site to apply to! Before you get too excited about the teaching job at VIPKid, there’re some requirements you’ll need to meet. A Desktop, Laptop, or Mac with internet access. If you meet the teacher requirements, you can start the application process. The VIPKid Teacher job does have a bit of an application process. The first step is filling out an application, which you can find here. If they’re interested, you’ll have to complete an interview and have a demo class to make sure you fit what they have in mind. The next step is getting the proof of information you need to VIPKid and signing a contract to work for them. I’ve been told that your first contract will be six months. After the contract ends, you can renegotiate pay and sign a longer contract with the company. If all goes well through the interview and contract signing, there’s paid training that all new teachers must complete. I’m not for sure exactly how long the training is or how much you’re paid, but I know it’s paid! You can complete the application process on their website here. Most starting teachers will make $14-$18 hourly. From what I’ve been told, there’re bonuses that you can receive for completing and getting good reviews on your teaching sessions. Just so you’re aware, payments are made per session, each session takes around 30 minutes to complete. So you should be able to complete two sessions in an hour. It looks like payments are made via Direct Deposit once a month around the middle of the month. If you remember from the requirements, VIPKId requires you to work at least 7.5 hours each week. Also keep in mind that you’ll be teaching students in China. Meaning that you’ll need to be available during the times that students are looking for teaching. The schedule is flexible, but most of your hours need to fall in the 6pm-11pm Beijing time. Depending on where you’re located in the US, this falls near 5-9 am, basically sometime in the morning hours in the US. They say that most of your 7.5 hours need to fall in the peak hours, but you can work more than 7.5 hours if you’re available! There are peak hours that you’ll need to teach at VIPKid. Like I mentioned it’s going to be early morning to mid morning for most people in the US. You also need to work at least 7.5 hours every week. Although they say the schedule is flexible, there’s not much work required outside of the peak hours. Since there’s a minimum amount of hours you’ll have to work, there’s no way to get around putting in at least 6 hours or so inside the peak hours. If you can’t work in these hours, VIPKid isn’t the right work at home job for you. Is the VIPKid Teacher Job A Scam? Teaching at VIPKid is not a scam, it’s completely legitimate and has some great reviews from current and past workers. The rate of pay is pretty good, but there are some requirements you’ll need to meet and a pretty long application process. As long as you can meet the requirements and don’t mind going through some training, you’ll be happy teaching for VIPKid. To learn more or to start the application process, visit VIPKid.com. Working at home tutoring English is extremely popular right now and is a great position, but the schedule doesn’t fit everyone’s schedule. 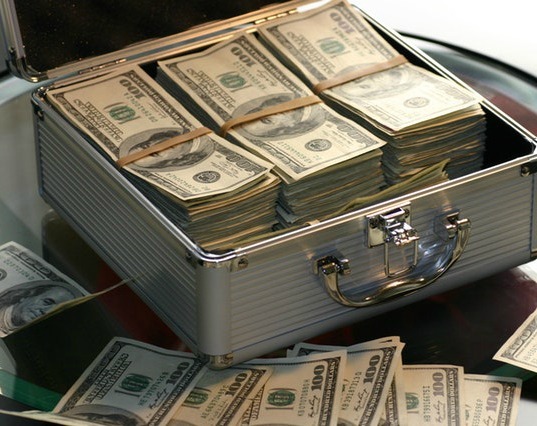 If you’re look for a full-time income online, check out My #1 Recommendation, it’s how I made over $13,000 online and I can work whenever I want! Do you think the teaching job at VIPKid is a scam? Leave your thoughts on my review below!